Many travelers and bloggers describe the beauty of the Salkantay Trek route. However, this blog is to describe the bad influence of irresponsible tourism as well as to give some advices. The Salkantay Trek used to have one of the loveliest natural routes worldwide. It also has been considered as an alternative trek to the Inca Trail. Its tour operators used to bring personal tents, dining tents and toilet tents with them. Those tents were pitched and later collapsed and the landscape remained intact like that. Along the entire way, one could see the untouched nature and animals. However, irresponsible companies have been devastating the nature and the scenery during the time by building igloos, hotels and restaurants at every former campsite for their own profit. Initially (in 2014), a company built 10 igloos from solid materials to provide accommodation to trekkers. Later on, it turned out to be a lucrative business. For that reason, other companies get started building more and bigger igloo constructions. Thus, the devastation of the natural landscape began. In present time (2019), local inhabitants sell their plots of land to companies building new igloo constructions. A company has installed a barbed wire network along the route between Soraypampa and Abra Salkantay (Salkantay Pass) in order to prevent that other persons would enter. The site of Huayracmachay is a usual stop for lunch. Before, lunch used to be served in collapsible dining tents. Whereas there is a corrugated iron construction nowadays. 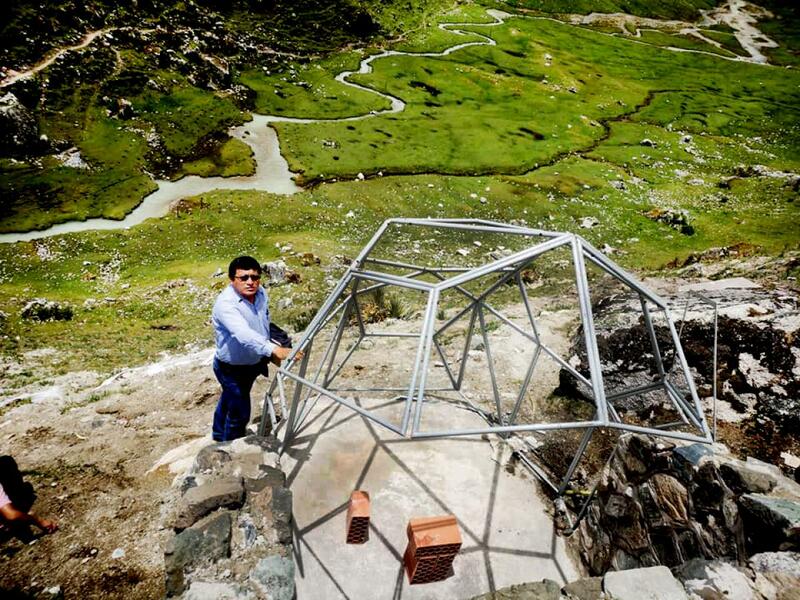 At Chaullay and Collpa Pampa, new igloo and houses are being built to accommodate hikers. In this way, the whole scenery is being spoiled. Horses and mules used for the route are being exploited now and there is no animal protection organization that could stop this practice. Those horses and mules work continuously without having a rest or a proper food. Their owners charge for their use, but they do not let them rest and do not take care of them either. Trees and other plants have been cut and removed from the sites to make space to igloos and other constructions. 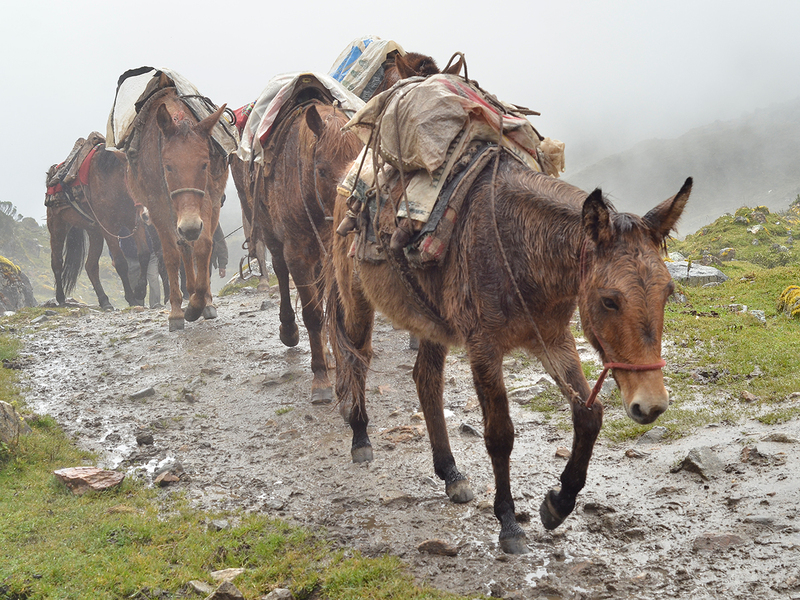 In the end of each trek, Cooks and horsemen/muleteers throw rubbish along the track. 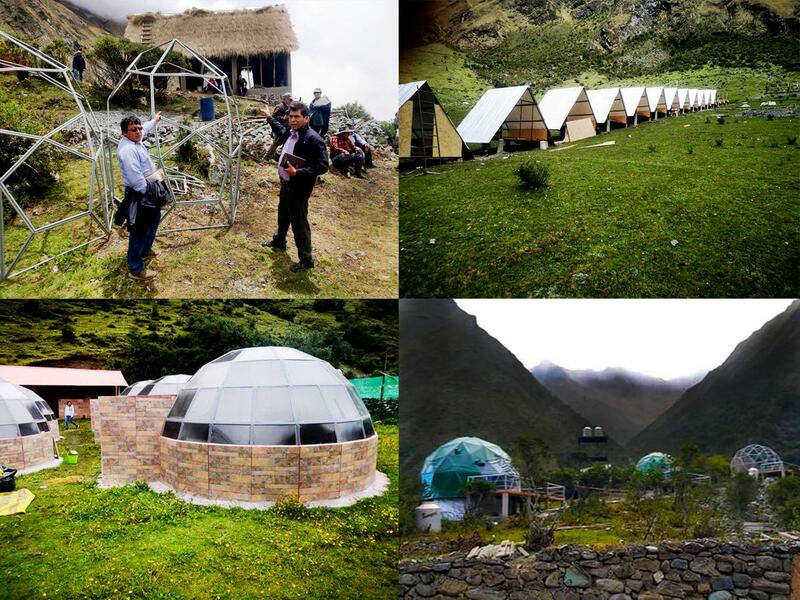 Book and Buy a Salkantay Trek with a travel agency offering camping in tents instead of igloos. In this way, you can demotivate companies from building new igloos and other constructions of solid materials. When in sites using horses/mules, check if those horses/mules look rested and well cared for. If not, ask the staff to change them for fresh animals. Check again, if they look well-rested indeed. As a manual of how tired and neglected horses look and how rested horses look, see the below photos please. Describe your personal experience of animal exploitation at some of traveler´s websites (e.g. TripAdvisor, Lonely Planet, Frommers, etc.). Do not forget to mention a name of the travel agency (or the tour operator, if you know it) you traveled with. At the end of each trek, check that Cooks and Horsemen/Muleteers do not leave garbage in plastic bags along the way. Do not forget to share such an experience at traveler´s websites and forums.